Wine Victoria has today welcomed a $5 million commitment by the Victorian Labor Party to market Victorian wines to the world. The announcement was made at the Blue Pyrenees Estate in Avoca and is aimed at doubling Victorian wine exports by 2030, with a focus on China and the United States. 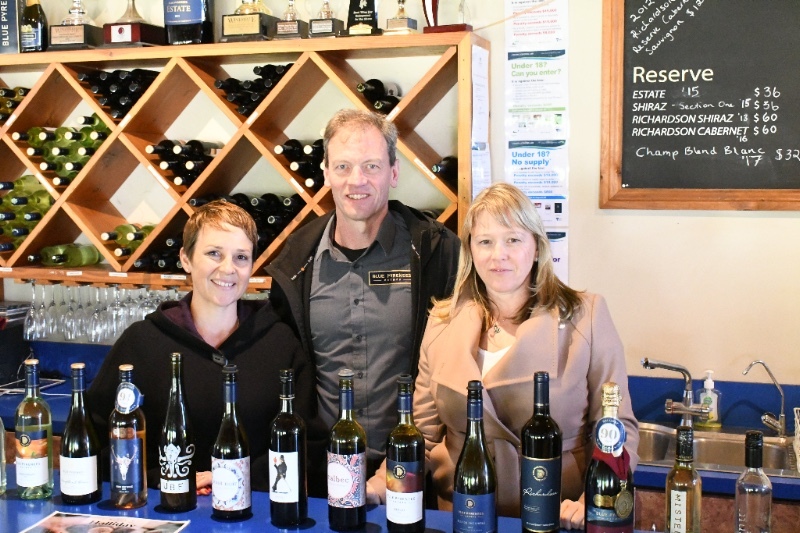 In announcing the package, the State Member for Western Victoria and Minister for Agriculture and Regional Development, the Hon Jaala Pulford, said if elected the funds will be used to team up with leading Victorian chefs and restaraunteurs to establish a Victorian Wine Showcase to help promote our best wineries. "Trade Missions led by Ministers will also target key markets overseas in the USA and Asia, and a series of marketing campaigns will boost the profile of Victoria's premium wines," she said. "Victorians know how good a drop of our wine is and Labor will make sure the rest of the world does too," she said. Wine Victoria Chair Ms Angie Bradbury said the industry was delighted Minister Jaala Pulford had again acknowledged the benefits of supporting the Victorian wine industry, which accounts for an estimated $7.6 billion of the State economy each year. "This funding is vital to ensure the State's wine companies can continue to build a well-known profile for premium wines," said Ms Bradbury. "Victorian wines are second to none and we want to make sure the world knows this." Ms Bradbury concluded. This commitment comes off the world done by the Andrews Government in partnership with the Victorian wine industry to develop the Victorian Wine Industry Development Strategy, the Wine Growth Fund and funding for the Victorian Five Pillars International Wine Tourism Campaign.